Once, there was Kenya Cinema on Nairobi’s Moi Avenue before the advent of the mobile phone. Then, when we closed school for the holidays, that’s where we would meet – outside – for the weekend’s rendezvous. Perhaps, to watch a play centred on a literature setbook at the Kenya National Theatre. Else, to watch rappers battle it out at the British Council’s WaPI event; or if you were into reggae, a jam session at Florida 2000, or F2. A couple of times too, we would do a movie at the Kenya Cinema – all foreign movies, which meant that local actors were not accommodated in this space. The Kenya National Theatre was where actors got their break, usually by way of setbooks and if lucky, on to television. WaPI and F2 opened doors for many musical artistes. And if you were a writer, well, you had to submit a manuscript to one of the country’s (educational) publishers and wait for an eternity to hear from them before Storymoja and Kwani? happened. The old gatekeepers. Then along came the mobile phone, quickly evolving into the smartphone and suddenly, internet was everywhere. And with the internet explosion, social media came into force. YouTube, Twitter, Facebook, Instagram… blogging, vlogging, ecommerce sites that placed art hardware – on the cheap – at your lap, and accompanying software to enhance your art, ecommerce markets for your art; really, an unprecedented revolution. The new gatekeepers to art where you could make and share your art widely without needing anyone’s permission, approval or marketing budget. 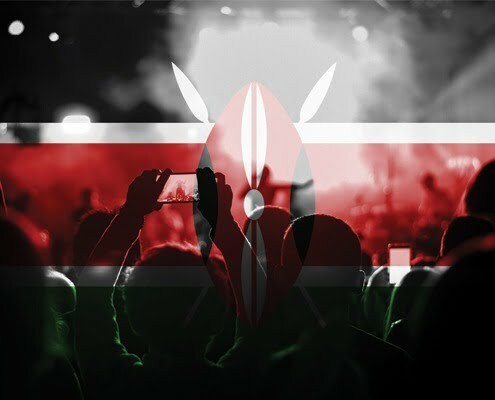 So, what does it all portend for the art scene in Kenya? Is it an indication of us trying to find our own creative space and to write our own identity? And when we say ‘own’ identity, what exactly do we have in mind? The artiste as an individual or as conveyor belt for his cultural heritage? What of glocalisation where global trends, say house music, is applied to a Luo traditional song, or its lyrics thereof to create a synthesis of the old and the modern? (Takes a break to listen to Lectronica Circle’s Ango). Where is one to draw the line regarding matters cultural appropriation? Sampling? In mind, Kirby Ferguson’s talk that “Creativity is a remix.” Or if you are into religion, that there is nothing new under the sun. I am of the opinion that Kenya’s creative space is a multiplicity of individual, local, regional and foreign influence. Hence we have artists like Ayub Ogada touring abroad and having their cultural music used in major films; and when you have Kanye West sampling your music and crediting you for it when you are oblivious of this fact, you have ‘arrived’. At the coast, we have chakacha and taarab as unique sounds while in the cities, anything and everything goes. And as the art space expands, the debate continues: art for art’s sake or are there economic, social and political considerations behind the art? I will say, art cuts across this spectrum. Hence we have the starving artist or the artist who has a main hustle while art is merely a form of personal expression. We have the well-to-do artiste who just bought a Range Rover last week and is all over social media fawning on just how blessed he is… At the political front, we have the artist raising political awareness and agitating for change or peace or both, the variables are many. So, what is the equivalent of today’s Kenya Cinema now that it closed shop? Well, nowadays when schools closes and you stroll to Nairobi’s CBD on a Sunday afternoon, you encounter little groups of teens strolling about. The common denominator? Two or three professional cameras – again, the price of cameras has gone down – in each group as they take shot after shot, mostly of themselves. Else, they are skating at the car park adjacent to Aga Khan Walk. And Kenya’s cultural montage keeps adding on, layer after layer.